This large sloping backyard was open and bare and in desperate need for some character building. 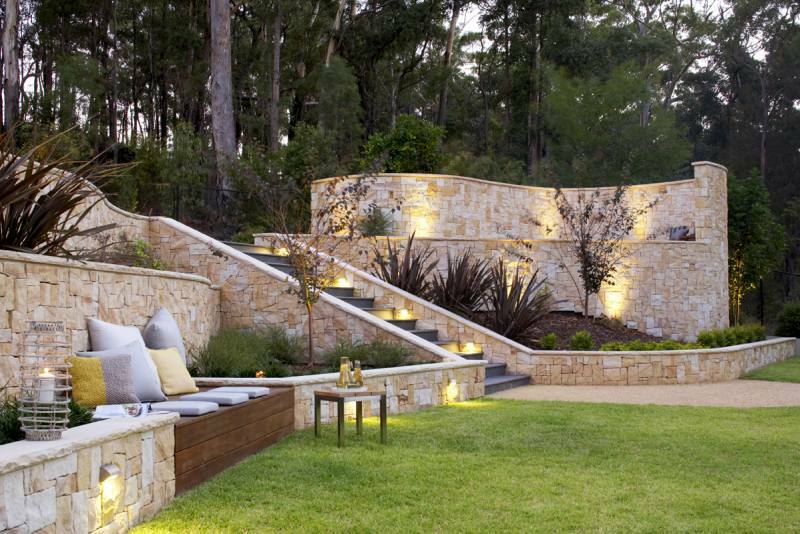 The framework of this large backyard design project is the dry stack sandstone retaining walls, wet edge pool and curved feature wall. The sloping lawn was transformed into three distinct entertaining levels. The impact of the new design is achieved through the use of natural products such as pebbles, timber and stone contrasting with the modern pool design. The main focal point of the garden design is the curved sandstone wall with curved timber bench seat, offset by decomposed granite flooring. Wide Granite tiled stairs were another natural material used in the design idea to link the upper and lower tiers of the garden. 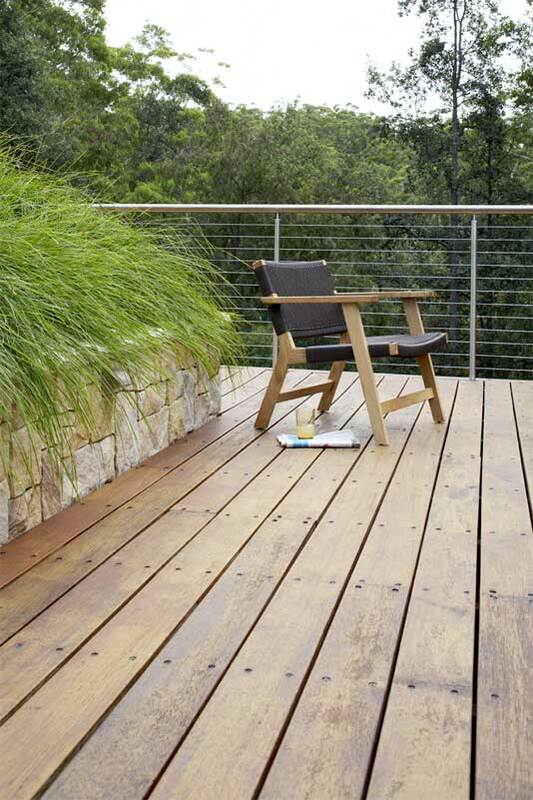 The position of the relaxed seating area allows the owners to enjoy all angles of this stunning new garden design.